Modern character but rural soul: these are the qualities instilled in these eclectic blends of two distinct decorating styles. Each environment offered in these 9 photos comes to you saturated with inspiration and ideas for creating your own style that hovers somewhere between the cutting edge and the worn, time-tested one. When style meets ingenuity, creative ideas with great visual appeal are born! This coffee table made from an old-fashioned cauldron is one of them, incorporated effortlessly into this noteworthy rustic design. 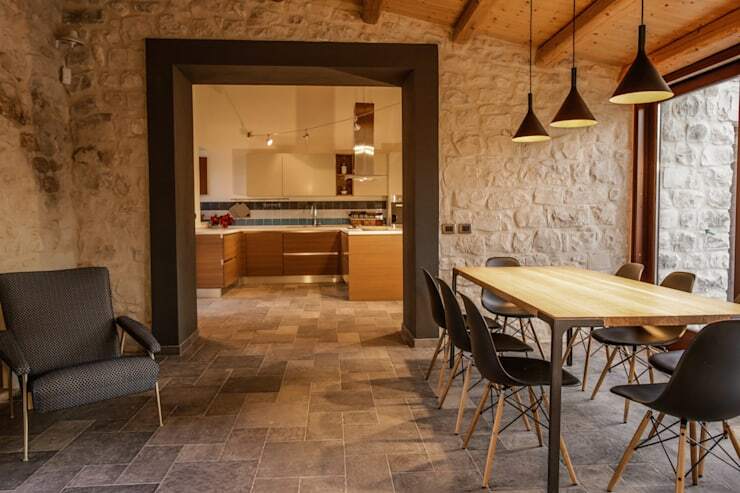 From the architects at Viviana Pitrolo architetto, this stone bearing structure embraces an ultra cozy, contemporary furniture scheme while preserving warmth, thanks to wood and friendly beams of yellow light. 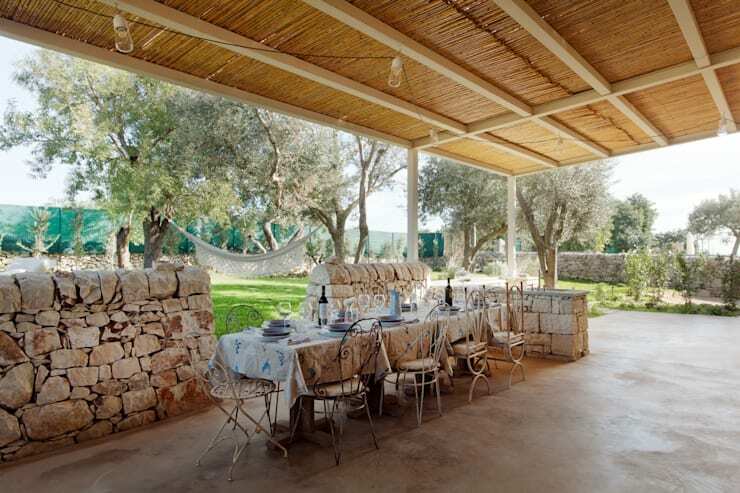 Even heavily burdened pergolas can become a truly fascinating extension of the rustic countryside. Here's an example where the wrought iron details seize the opportunity to emphasize the traditional character of the building. Within this seemingly rural house there lies a veritable modern residence! References to time-steeped tradition are all around, however, present in the brick wall, wrought iron decorations, and raw base of the trunk that conveniently serves as a living room table. 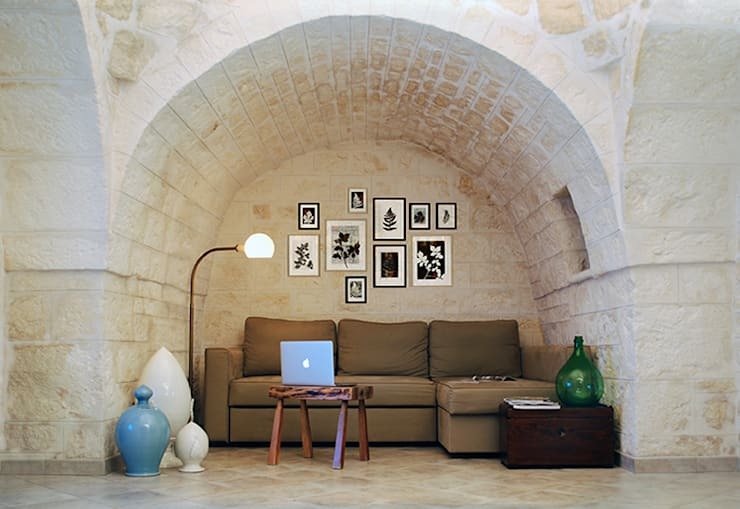 How not to be inspired by this cozy furnished niche? An idea born of functional origins in order to optimize space has become absolutely delicious from an aesthetic point of view. 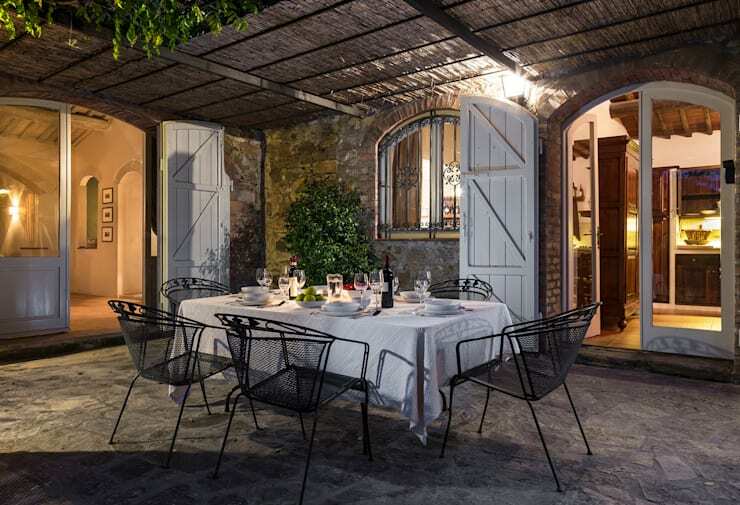 There is nothing more relaxing than a country-style porch surrounded by a garden, combining the beauty of traditional country-style construction with the element of conviviality and warm welcome. 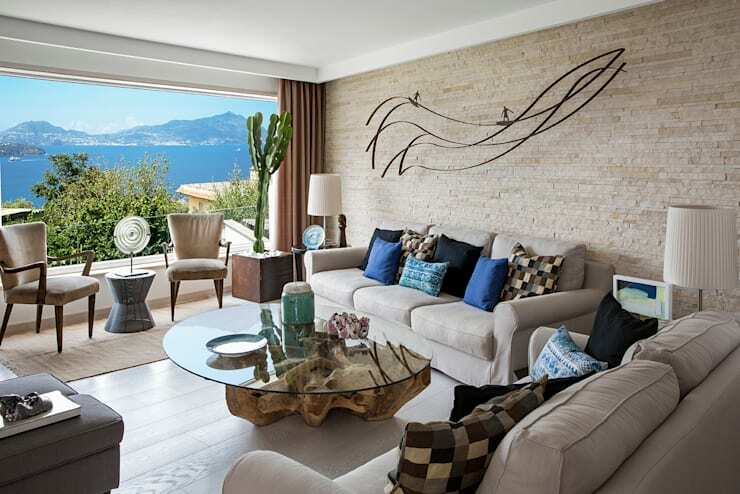 Wood and stone are essential elements in this time-tested design. 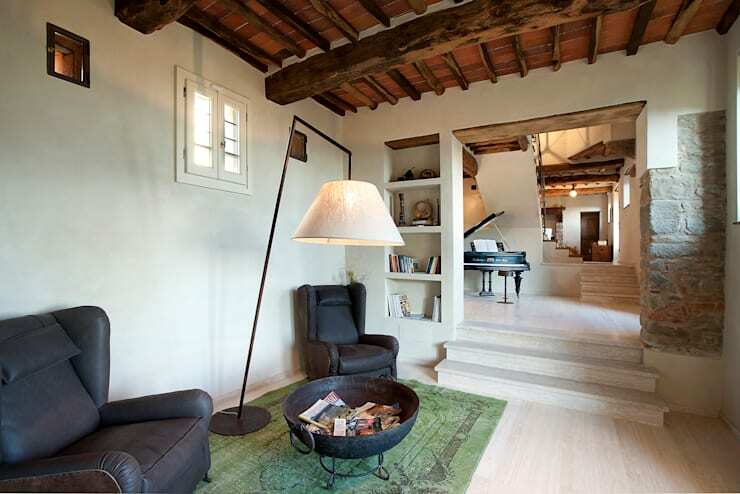 Would you have supposed that this beautiful villa built on several levels was previously a barn? This new authoritative structure balances a refined taste with a rustic structure, bringing the home back to its origins as a barn. 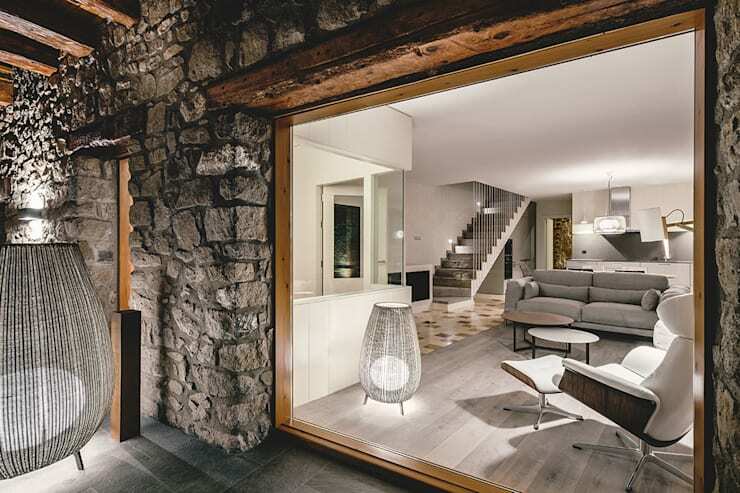 In a design that exposes a natural stone material to light, the stunning shades of gray and white star as the protagonists in this home, which clearly shows two extremes: stonework that dates back decades on the exterior, with a sleek modern decor scheme inside. A creative twist or unexpected turn can never hurt!. 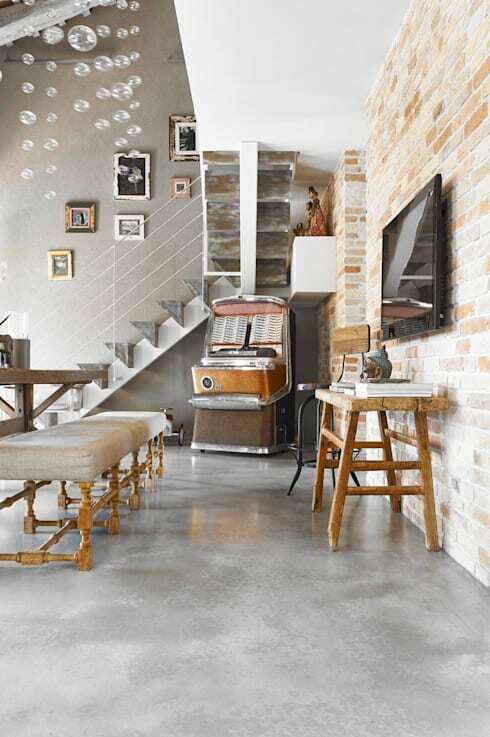 This eclectic blend exhibits a rustic character in the masonry and furniture, but also offers a heavy dose of industrially-influenced style in the concrete flooring and light fixtures. What do you think of these modern-rustic home decor styles? Comment below!